This card is so sweet and fun! I love it! Such a cute holiday card! I love the way you added the background snow die... it adds some great depth and detail. This is so adorable!! They all look so happy and ready for Christmas! 1. Oh my!!! Super super cute!!! Adorable festive card!!! Darling scene Elena!! Your coloring is always amazing! I always love the colors you choose and your scenes! Adorable! Wow! 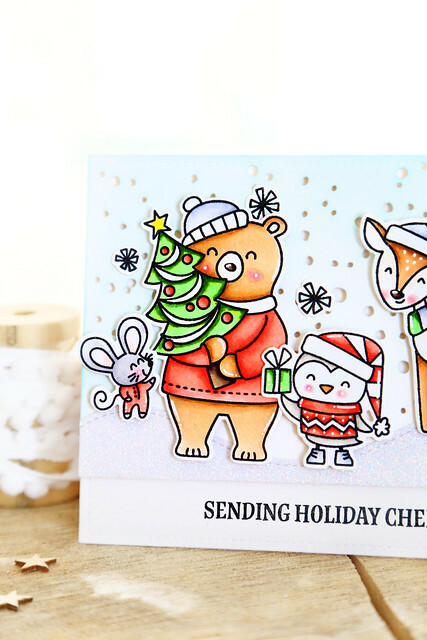 Love the festive scene you created with all of those adorable little critters!!! Your coloring is so fantastic!!! Sweet card! Love your pretty coloring and these adorable critters! The mice are too cute for words! Ohh these critters are so lovely and cute. Beautiful card ! Really like your card. I too love the mice in their onesies. This card is so cheerful and can put anyone in the holiday spirit. Thanks for sharing your creativity. The critters in this set are just too cute! Your card is adorable and fun, I love it. Your cards and coloring is always stunning! So adorable. Love your sweet card. 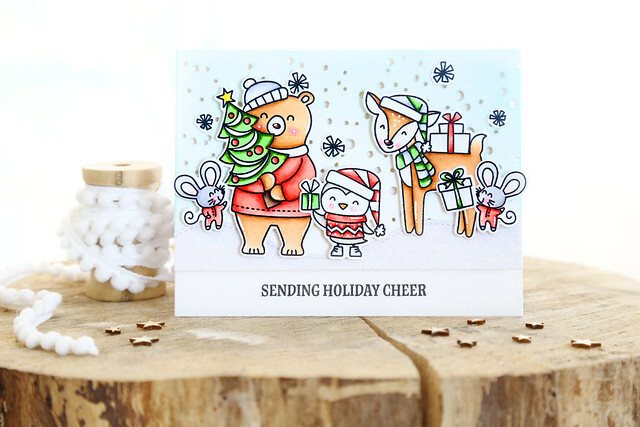 Sweet little touch of christmas you crafter to share on this sweet little hop! How i adore the new products too! Thank you for sharing. what a sweet li'l gang! Your coloring is UNREAL! It's such a cute card! Love these little critters! Cute and festive scene. I like your coloring. What a fabulous card! Adorable scene, so beautifully colored and crisply executed. Oh my !! How adorable is your little Christmas crew !!! Hey, there I would say that what an amazing Christmas card it is. I like to drop a link which you could like to read. You may check it here!